Getting your ideas from your head onto the screen can be challenging, particularly if, like most people, you've never learned to type. 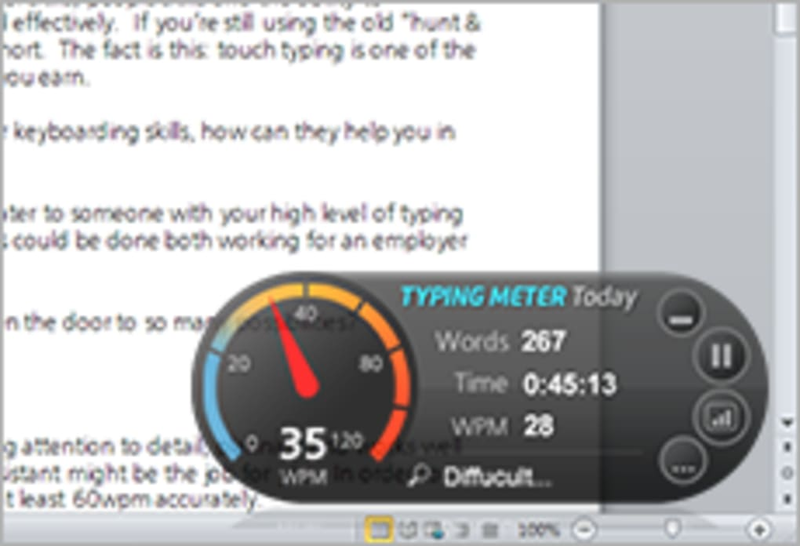 TypingMaster gets rid of this frustration by helping you to train and improve your typing speed and accuracy. 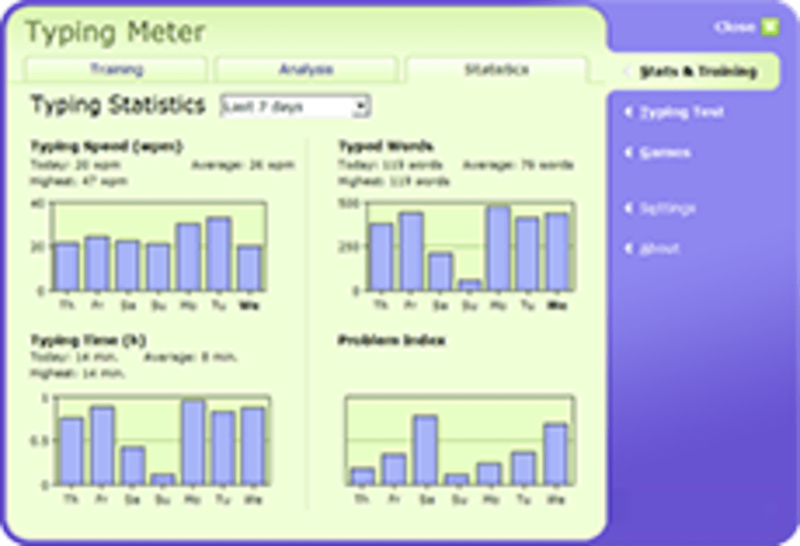 This educational software contains hours of typing lessons plus an analysis widget that you can use to assess your typing in other applications. Personalized feedback and training recommendations get you working on the particular areas where you need to improve. There are three parts to this software, each with its own benefits. 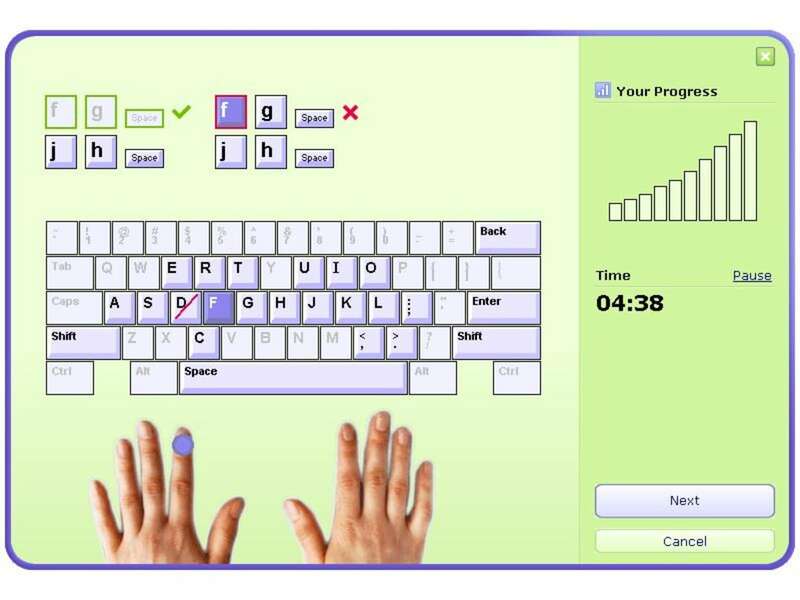 You can build up your touch-typing skills with lessons and practice tests; there are around ten hours of these lessons in the package. By the end, you should have mastered the basics of touch typing and be well on the way to improving your speed and accuracy. If you want to practice your skills in a less formal way, you can play typing games that call on you to type quickly and accurately in order to succeed. The newest feature in TypingMaster 10 is the analysis widget, which runs alongside other applications and keeps track of how you're typing. This appears as a small overlay display like an odometer. 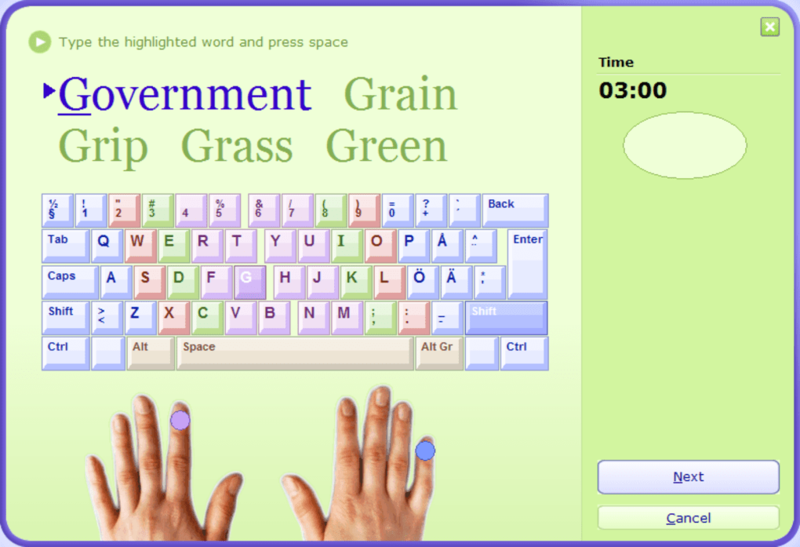 The visual training will be familiar to anyone who's used an earlier version of TypingMaster or a similar typing course. These exercises teach correct finger placement and typing techniques. At the end of a lesson, you'll receive a review showing the areas in which you performed well and the ones in which you need improvement. 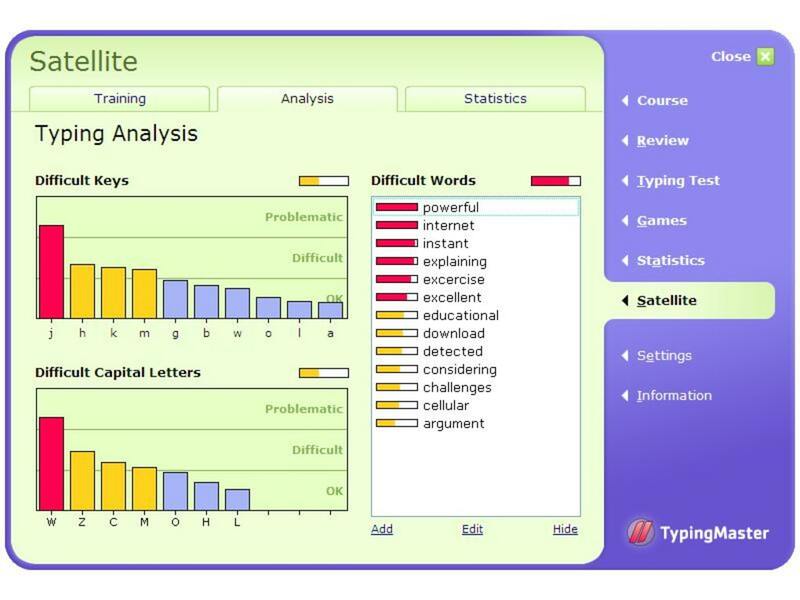 You can also take typing tests to assess your progress. The visual teaching style here is very helpful; the color-coded display helps visualize where your hands need to be for maximum speed and typing accuracy. The typing games are enjoyable ways to practice your typing skills, although they're not exactly thrilling in terms of gameplay or eye-popping in terms of graphics. Few will sustain interest for more than a few minutes, but that's not what they're for; they're just ways to put some variety into the experience of learning to touch-type. 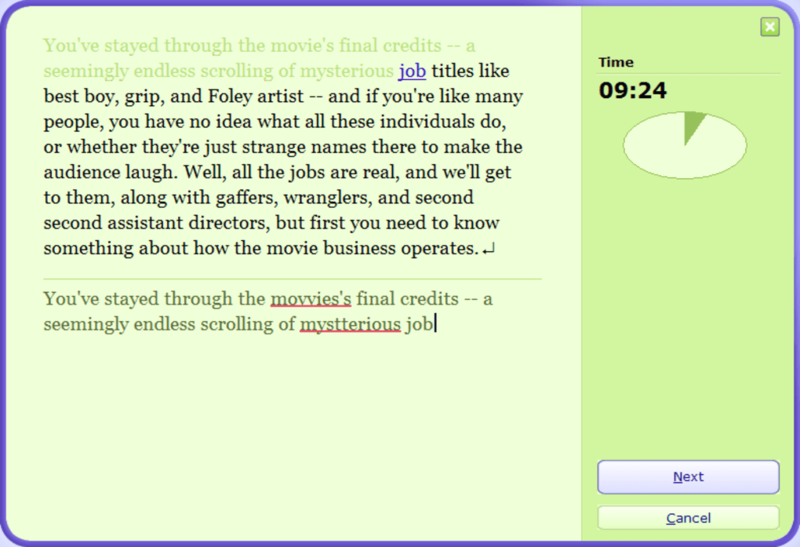 The analysis widget is the most interesting part of the package. This lets you see how well you type under real-world conditions. It'll monitor your typing speed and identify not only commonly mistyped words but also specific keys and capitals that you're having trouble with. The screen overlay can feel intrusive, but you get used to it quickly and can always minimize it if it gets to be too much. If you've never really learned to touch-type properly, or if your skills are a little rusty, TypingMaster is a great way to improve your abilities. 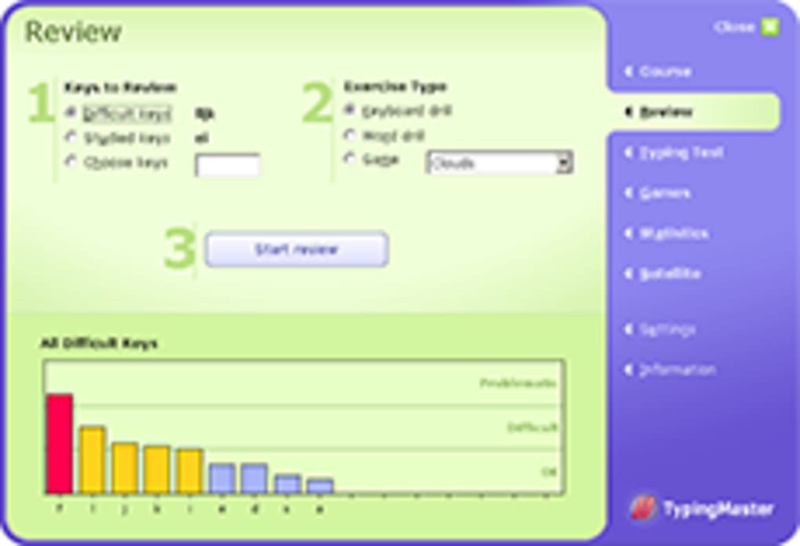 The lessons are clear and easy to understand, the games are varied and reasonably entertaining, and the analysis widget provides useful insights. If you're already an experienced typist, you won't benefit as much, but then this product isn't really aimed at you. 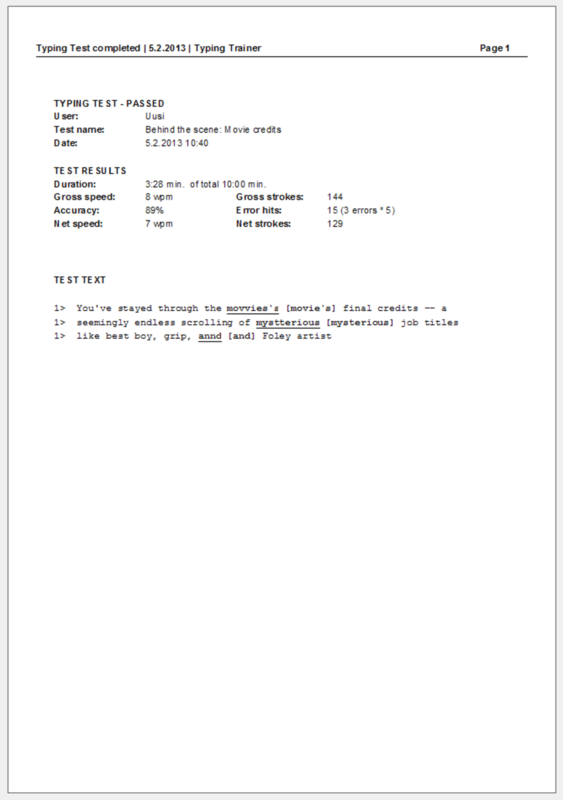 If you are looking for alternatives, you may want to try Rapid Typing Tutor or Tux Tiping. Finally, on the developer's website you will find more information about this app. super but not installing. who know how to install it those can help me to install it. Yeah. I can. I love typing. I love typing because I love to type. I feel Rainbow. I am a good typer. Pros: I love typing test. Typing Master is Best Software for the Typing. I could not imagine that I could able to type 35wpm without looking the keyboard.When I was learning this software I spent at an average 2 hours for 6 months to achieved the same speed.Nothing is impossible in this planet.I learnt at an age of 33 yrs and now I become an expert on Typing. I am very thankful to this site who made easy for typing ability. Not bad. TypingMaster is a good program to learn typing on a keyboard, though the texts are plagued with a lot of spelling and grammatical mistakes. Those texts are not always consistent with spacing and punctuation either, which can be very misleading when typing text and getting error penalties because a hidden space was expected at a strange place. Fortunately there are separate, correct texts coming from known authors, outside the scope of the lessons. 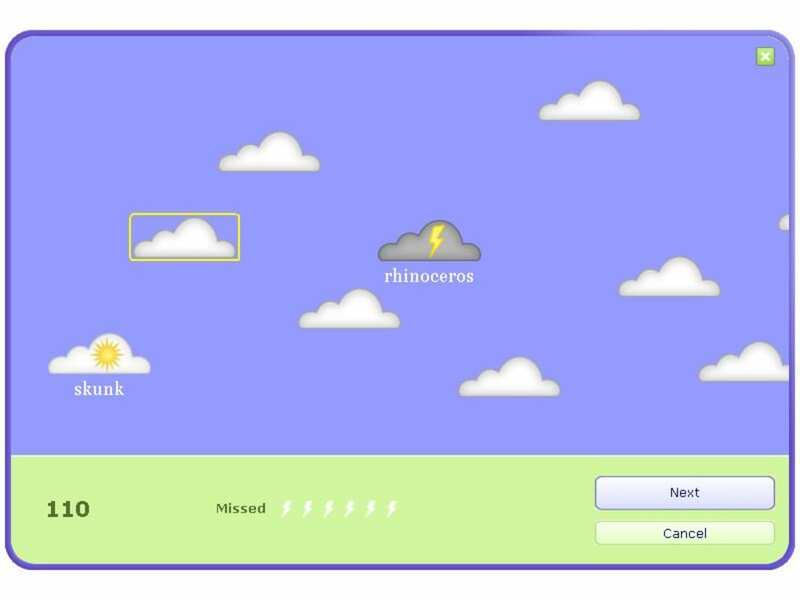 The software analyses the typing speed and the difficult keys, which seems to work at the beginning but quickly becomes erratic in the last lessons and would insist you take extra practice for keys that are supposedly difficult. Three games are available, but I seriously doubt their use as their difficulty increases so quickly it makes them pointless to play. So overall not a bad program, but could do with some improvements, especially in the proofing of the texts. After all, if you learn to type, you may as well do it correctly. What do you think about TypingMaster? Do you recommend it? Why?